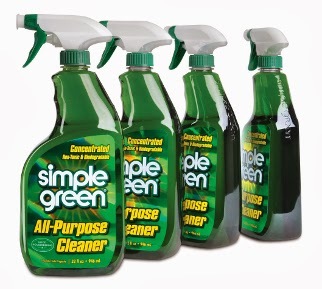 The U.S.-made all-purpose cleaner, Simple Green, recently came out with a new, improved, and more sustainable spray bottle. The bottle is completely plastic and 25% of the plastic is post-consumer recycled plastic. The best feature of the new bottle is the trigger or nozzle system. The nozzle includes a door foamer option which allows the consumer to distribute the cleaner either as foam or the standard liquid spray. The system makes it simpler to use as well as more functional. Sustainability is included in the trigger system, too. Since the bottle is made completely of plastic, it eliminates the use of metal (i.e. a spring) in the bottle, saving 10 tons of steel annually and keeping the recycling stream simpler. The trigger also has less resin content compared to the previous version, which saves more than 19 tons of resin each year. This likely translates into incremental freight savings as well. Overall, the bottle was a great all around improvement and won the gold packaging award from the North American Retail Hardware Association at the National Hardware Show. Check out this article from Packaging Digest to learn more.